Pacific ocean a little cold this time of year? Wet your whistle with something more to taste. 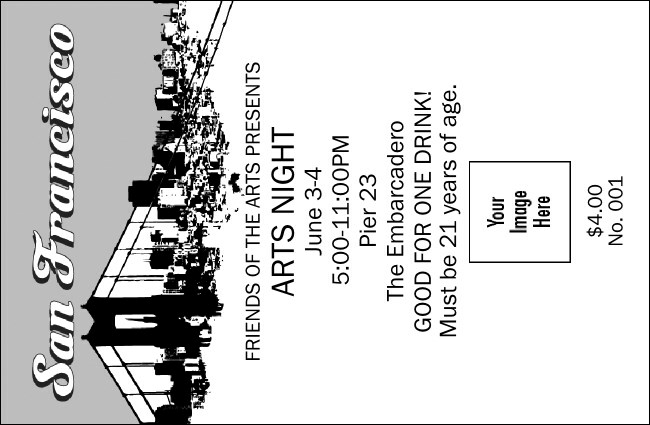 Check out the San Francisco Black and White Drink Ticket, with a cityscape featuring the Golden Gate Bridge. Sell drinks in advance, comp your VIPs, and make your bartender's life a little easier. TicketPrinting.com prints and ships fast, with one-day turnaround.